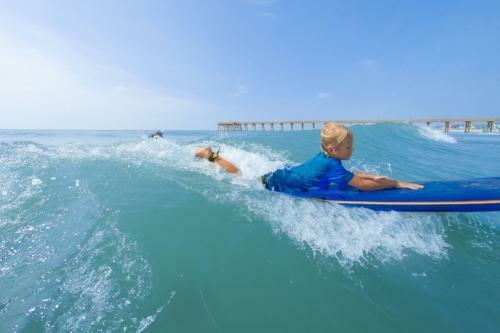 Wrightsville Beach at Wilmington & Beaches, NC makes for an unforgettable family getaway for all ages! My favorite time of year is coming up: my family’s annual trip to Wrightsville Beach. It’s what I look forward to the most and is a tradition I’m proud to share with all generations. This year, I’m especially eager to get down to the shore to see what’s changed. Thanks to new offerings and post-storm renovations, 2019 is prime time to visit. Plus, it’s one of the few North Carolina beach destinations within easy reach of celebrated dining and upscale shopping opportunities (always a crowd favorite!). Sometimes a storm like Hurricane Florence can actually have an upside. 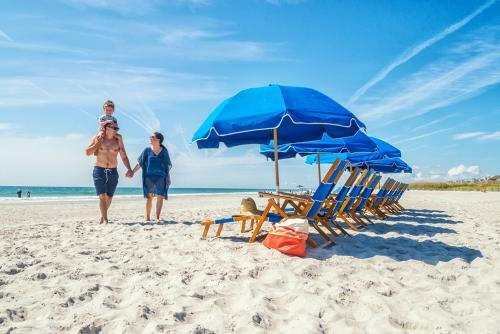 Lots of properties, including Shell Island Resort, Summer Sands Suites and Blockade Runner Beach Resort, used the downtime after the hurricane to upgrade and modernize their facilities. Sometimes my family likes to spend our vacation at a hotel, but we usually rent a large beach house or cottage big enough for everyone to spread out. I’m super stoked that the Blockade Runner’s EAST Oceanfront Dining, one of our favorite spots for Sunday brunch — not to mention Lobster Night every Friday — will be open as usual this year. We love sitting under the canopy in the heart of the Blockade Runner’s beautiful gardens, which emerged intact thanks to heroic efforts by the hotel’s gardener. South Beach Grill is another favorite spot that came up better-than-ever after the hurricane. During renovations, the owner, John Andrews, discovered a beautiful terrazzo floor underneath the water-damaged wood — a reminder that the building was originally the island’s first bank. The terrazzo provided the inspiration for the restaurant’s new southern industrial look, complete with belt-driven fans and a 300-year-old oak slab bar. And then, we’re good to go for our first night of vacation. One much-anticipated annual event is our family outing to Trolly Stop, where everyone orders their favorite hot dog — beef, pork, turkey or vegetarian. Maybe it’s because I’m a history buff, but I always go for the classic Wrightsville Beach combo — chopped tomatoes and onions topped with their secret sauce — a customer favorite since the place opened in 1976. Another event that brings the family together is our annual day at Masonboro Island Reserve. We catch a ride from Wrightsville Beach Scenic Tours & Water Taxi and enjoy a day on this undeveloped coastal island. A picnic lunch, a stroll across the island and birdwatching are always on the agenda. This year, we plan to try Capt. Joe Abbate’s new self-guided shelling tour to see what treasures we can find. Capt. Joe, an old friend, single-handedly turned me into a bird watcher a few years back with his enthusiasm for feathered species. I’ve taken several of his birding tours and especially like the insights he shares about how local species are affected by climate change and commercial development. Another must-stop for me is the Wrightsville Beach Museum of History, located in the historic Myers Cottage, to check out the latest exhibits. The 1924 Ewing-Bordeaux Cottage, which was relocated next door last year, will join the beach’s Historic Square in the future, and its opening will expand the museum&apos;s exhibit space to allow many artifacts that had previously been in storage to be displayed. 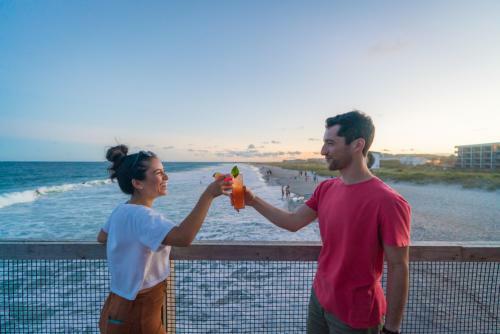 We plan to take the new Loop Through History walking tour to find out more about Wrightsville Beach’s origins, its trolly line and its grand hotels. Speaking of history, I’m eager to check out the Oceanic Restaurant, where a meal on the pier and some sundown music have highlighted many an evening. Luckily, the hurricane only caused cosmetic damage to the building and none to the pier. Post-storm renovations relocated the bar and staircase, opening up more views of the ocean. The historic photos that distinguished the interior survived and have been rearranged and augmented to highlight the landmark’s history and heritage. Another historic stop on our agenda takes us to King Neptune Pirate Lounge, which has been serving drinks and seafood since 1946. It’s definitely the place to get your “yo-ho-ho” on with one of its rum drink specials. The many bars and eateries along this stretch of North Lumina make for a great late-afternoon bar crawl, just steps from the beach. 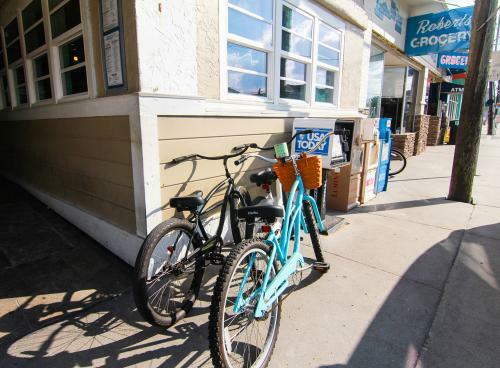 One of Wrightsville Beach’s greatest attractions is the wide range of outdoor activities that appeal to all ages. With the ocean on one side and the quiet waters of the Intracoastal Waterway on the other, almost every watersports activity imaginable can be found here, and, over the years, my family members have tried them all—sailing, kayaking, paddleboarding, scuba diving and, of course, surfing. This is one of the top surfing cities in the country, as much for its culture as for its waves, and it’s a great place to learn. My teenaged nephew Gavin started out at Crystal South Surf Camp—at 20 years, it’s the longest-running surf school on the island. This year, he will be trying out WB Surf Camp&apos;s new five-day camp for the over-10 set. His sister, Grace, who just finished her first year of college, is more interested in working on her tan, but she discovered paddleboarding after we took a sunset tour with Epic Excursions last summer. Paddleboarding is good for the core, she tells me. I like it because it’s fun and easy to learn. Our annual stay at Wrightsville Beach is my chance to destress and unwind. For me, this means sunrises on Johnnie Mercers Pier, followed by long walks to the north end of the island to leave a note in the time capsule mailbox there and back down to the south end to check out the colony of nesting seabirds. Live music and dancing are important to my mental zen, as well, and fortunately not hard to find. Free summer concert series are hosted nearly every night of the week at venues that include Wrightsville Beach Park, Bluewater Waterfront Grill, Gabby’s Lounge in the Holiday Inn Resort, on the pier at the Oceanic and at other island restaurants and nightspots. 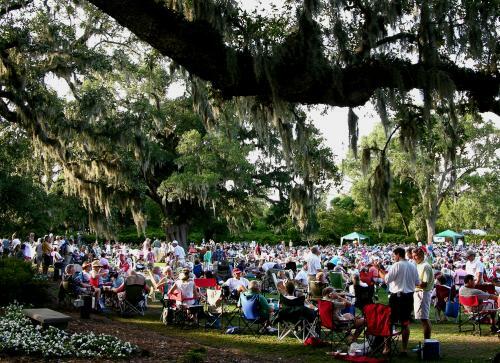 Just across the bridge, the music at Airlie Gardens sounds extra sweet under the ancient live oaks. More contemporary music plays at local hot spots such as Jimmy’s at Red Dogs and The Palm Room. This year, I’m adding floating standup paddleboard (SUP) yoga with Wrightsville SUP to my relaxation plans. I’m letting Topsail Steamer and other food outlets bring the meals to me. And, if rain keeps me off of the water, I’ll duck into the Little Chapel on the Boardwalk to meditate for a few minutes under the marvelous murals created by local art legend Claude Howell, seeking my own inner core. After our annual pilgrimage to Wrightsville Beach, my family returns to everyday life renewed, relaxed and stronger, with new friends, new goals—and great tans! 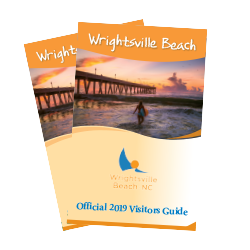 Discover more activities that make Wrightsville Beach so compelling year after year.